Can you help police locate these three people? Police are growing increasingly concerned for the welfare of a seven month old baby, who has gone missing with his parents and are thought to be in Cambridgeshire. Daniel John Minton and his parents, Daniel Minton and Tory Smith were last seen on Friday April 21 2017 in the Orford Road area of Swaffham in Norfolk and despite extensive enquiries they have not since been located. 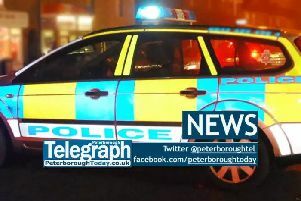 Police today, Tuesday June 6, said it is thought they may be in the Wisbech area. Daniel Minton and Tory Smith are suspected of abducting their young son who a family court have determined poses “a risk of harm” to the boy. Daniel Minton Snr is described as white, 5ft 8ins to 5ft 10ins tall and of stocky build. He has blonde short hair, usually shaven, with blue eyes and tattoo on the left side of neck and his left hand. Tory Smith is described as white, 5ft 8ins to 5ft 9ins tall and of slim build. She has very long, black, straight hair which is possibly now dyed blonde, blue eyes and has a tattoo on her left wrist. Wide-ranging investigations have taken place to locate the family and officers ask that anyone who has information regarding their current location or the whereabouts of any of the three to contact police immediately on 101.